The Crumpet: Christmas Challenge Day 10 - Reds! Well it’s either double the delight, or double trouble – I have a double post for you today. 2 fabulous reds, which I will post separately. 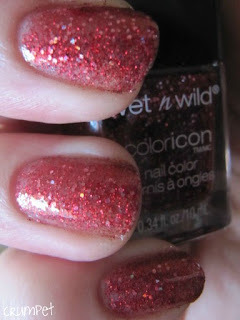 The first is Rockin Rubies from Wet n Wild’s Ice Collection. 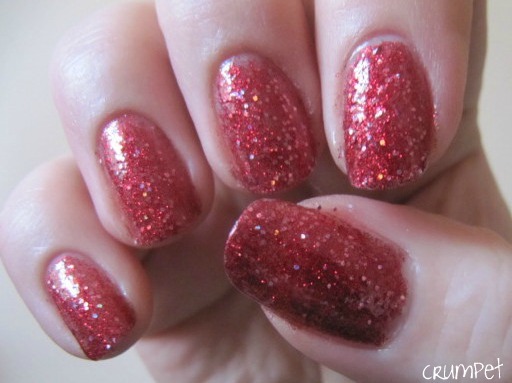 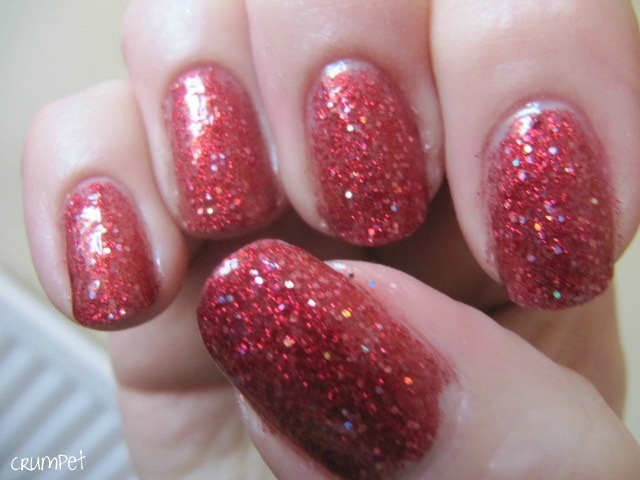 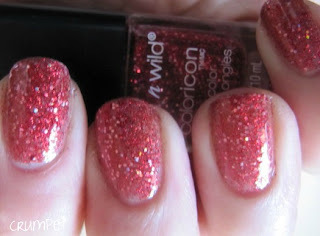 In the bottle, it’s pretty much the perfect red – a syrup of red glitter and holo sparkles. 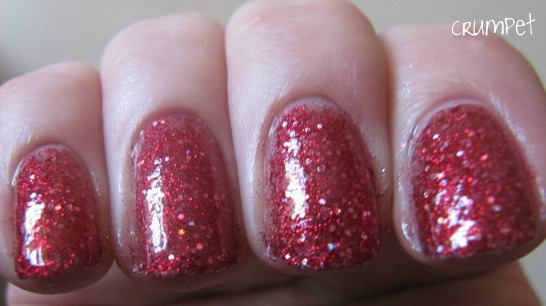 On the nail, it looks lovely too – but there is a problem with opacity. I used 3 coats for these pics, and I am still not happy – on some you can really see how “thin” the colour is. 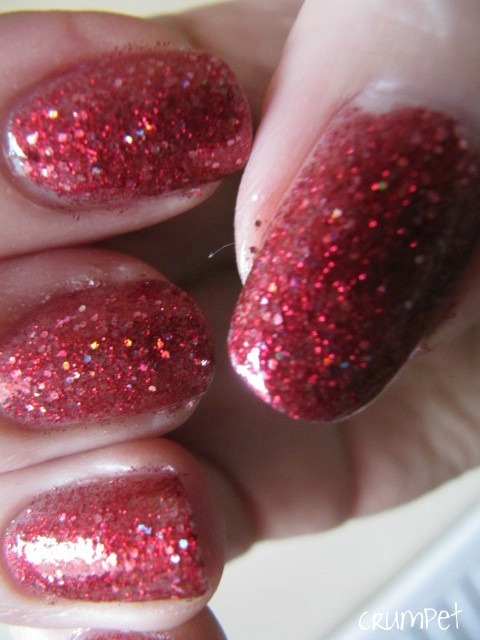 I love how much this sparkles and dances and generally just is such a prima donna, but next time I think she’s going to be worn over a layer of red, just to give her that little bit more depth. 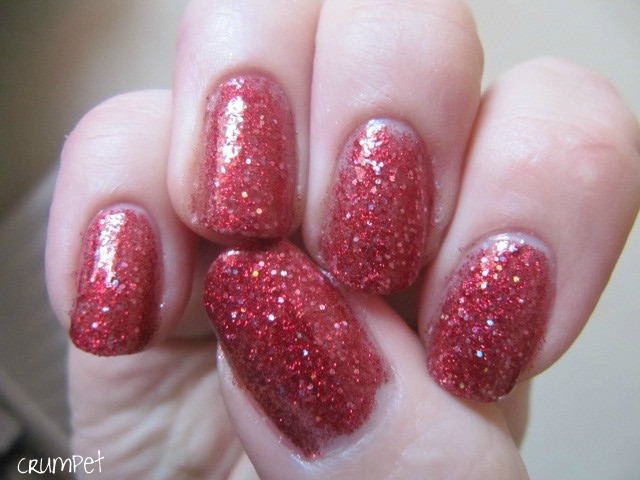 This is a lovely red glitter –personally I much prefer red glitters when the flakes are small, like in this one, and the extra little sparkles make a world of difference. 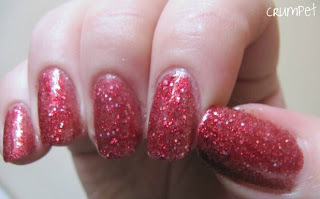 This WAS my favourite red glitter until something else landed in my path – stay tuned, Take 2 coming up very soon.